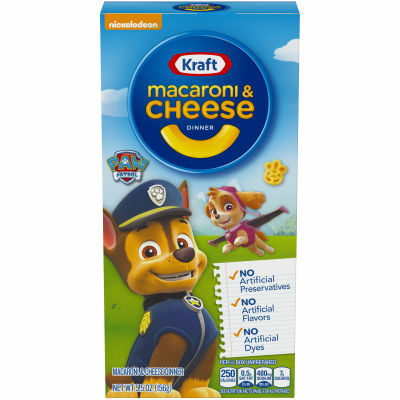 Kraft Macaroni and Cheese Dinner in Fun ShapesBee-do-bee-do-bee-do are you feeling hungry and bored together? Kraft is now having a solution for you. Grab Macaroni and Cheese Dinner latest range of thrilling shapes in your favorite Minion Character shapes. Grab the lovable minions and say bello (hello) to the darlings. Tantalize your taste buds with the enticing cheese sauce with a hint of paprika to excite your day with happiness. So say poopaye (goodbye) to sadness and enjoy a creamy treat crafted with care and precision from USA because tulaliloo ti amo (we love you).Go Crazy with Minion Creamy Cheesy BitesImagine sitting with a bowl filled with velvety textured cream and lip-licking pasta with Minions. Isn't it cheerful to visualize it? Yes with a bowl filled with Minion shapes, Bob, Kevin and Stuart around you, wrapped in yummy cheese sauce is tempting and electrifying. Get in love with the creamy - cheesy aromatized air magnetizing you with the healthy Macaroni and Cheese Dinner in Minion shape. Serving size 2.5 oz (70g/ about 1/2 Box) (Makes about 1 cup).